MEXICO CITY (2015 FIBA Americas Championship) - With a buzzer beater from Cory Joseph, Canada defeated Mexico, 87-86 and took the third step of the podium. The Mexicans gave tough fight but it wasn’t enough to close with victory. In the end, Gustavo Ayon thanked the audience for their support. The match for third place on the podium showed a considerable drop of defensive intensity. Meanwhile, Jorge Gutierrez was added to the injured area (cervical pain). Adrian Zamora was accurate for Mexico, while Canada took advantage from the hand of Andrew Wiggins. The score suffered to advance given the low percentage. After 7m, the North Americans had a 5-point lead (11-6). Marcos Ramos hit two triples, but the response was immediate with the aim of Brady Heslip. The first quarter was for Jay Triano’s team: 18-14. In the second quarter, Ramos continued intractable from 6.75, with two more bombs and a drive from Gabriel Giron, the host went to the top, 22 - 21. The answer did not take long and Andrew Nicholson (10 pts in the quarter) created an 8-0 run (29-22). But the home team was not far behind. Hector Hernandez came off the bench to provide solutions and distract defenses with Gustavo Ayon. The procedure became moody, and after the second quarter, Mexico had the lead, 41-40. The Sergio Valdeolmillos team stretched their momentum at the start of complement. Zamora was reliable and Paul Stoll (4 triples in the fourth) took the team to a 7-point lead (54-47). For Canada, Wiggins stood alone, but was very important to discount. Mexico took the third quarter, 64-60. 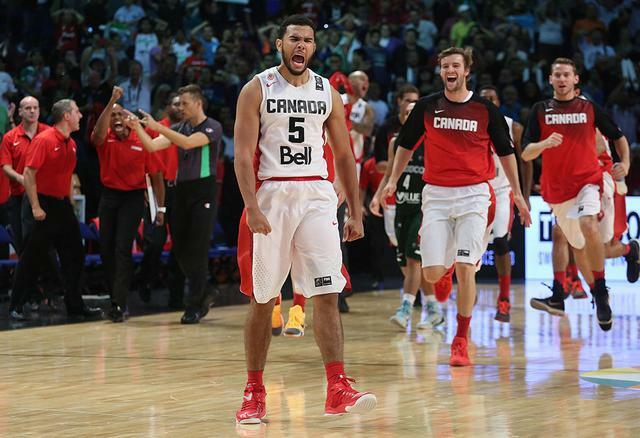 In the final quarter, Canada created a streak of 9-0 2m and went to the top, 69-64. Although Stoll stood out again, Triano’s team hurt in the counterattack and Heslip did not let up, so the Canadians took nine (79-70). However, Mexico did not give up and created a comeback. Ayon put units in a row and a three from Francisco Cruz blew up the Palacio. The host took an 84-83 lead with 28's remaining. Then Joseph scored in the absence of 11s, but Cruz responded to take his team back to the top, 86-85. But with 6s to go, Joseph scored a buzzer beater and the Bronze Medal went to the Canadians. Canada won 87-86.